The Deal: bikes are available now but may sell out. See Pull down menus below. Warning: bikes always sell out fast so order now *Order now to lock in your sale price and selection. Price Rises As Sales Goals are Met. Your Shipping Address: Please ensure your it's correct when you order. Last minute changes will incur delays and/or extra costs. Your shipping address can be changed on the 3rd page of checkout. Click on "change" beside the address. 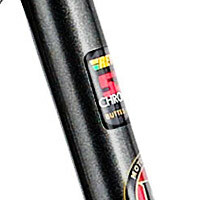 Perfect for the entry to pro level athlete wanting the amazingly magical comfort of a Reynolds high grade steel frame, coupled with the precision and comfort of a CrMo fork and dealing with a budget. 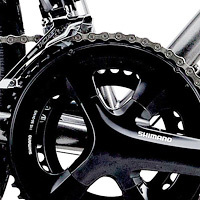 This model has Shimano Compact Double cranks for even more hill-crushing performance at a lighter weight than triple cranks. 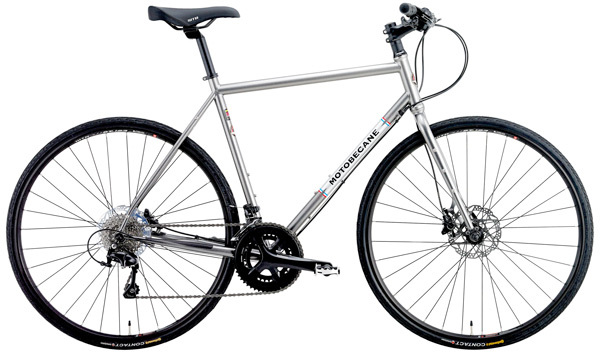 Compare to All City Bikes, Kona, Surly steel bikes at $1800 to $2100 (including local taxes). The Cafe Premio Hydraulic disc brake flat bar road bikes Feature new high performance, super comfortable and highly durable Endurance Design High Grade Steel frames. 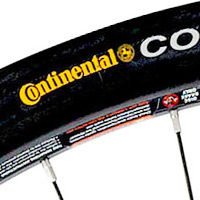 Endurance design means higher headtubes for a bit more upright and comfortable riding positions. 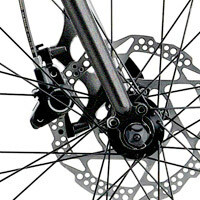 Frame New Endurance Design HandCrafted Reynolds 520 High Grade CrMo Steel, forged rear derailleur hanger, 2xH2O bosses. Rear Rack Mounts on Seatstays.